The terminologies associated with creating a domain can be somewhat unfamiliar. Knowing what different technical terms stand for minimises a herculean task, which is why I am here to help you understand some you may come across. This post is aimed at helping people with no previous knowledge in acquiring domains, for them to easily understand the terms and acronyms that come along with this. To start with, what is a domain name? A domain name works like a mnemonic for IP addresses. Let’s break this down. Every computer has a specialised address that is unique to it. This is a string of numbers that can be quite difficult to remember. It’s what is known as the IP address (Internet Protocol address). The domain name works in place of IP addresses, because they are relatively more technical and difficult to remember. Domain names perform the functions of street addresses, but on the web. Every part of a domain, like a physical address, is important. Web browsers are able to locate servers when you type in domain names. Now, onto some other terms. The Domain Name System (DNS) is a system for labelling web servers and web pages e.g. relatable.com. The DNS provides the rules and procedures through which domain names are formed. This makes it possible for computers to discover your website whenever someone searches for your domain name. The DNS is an electronic address system comprising of the Top Level Domain (TLD), the Second Level Domain (SLD) and the Third Level Domain (Subdomain). We have the generic TLDs (gTLD) such as .com, .org, .net, and several other common ones. Then there are the country code TLDs (ccTLD) which is, as the name implies, related to countries. Over 200 countries are in this class. You must have seen some such as .us for the United States, .de for Germany, and .uk for the United Kingdom. Finally we have the new Top Level Domain (nTLD) which is fairly new, like the recently introduced .shop that became available in 2013. This also includes .xyz, .media and several others. They are easy to remember and more industry related. As mentioned earlier, the second and third level domains are below the TLDs in the DNS hierarchical order. They are more unique as they are typically open for reservation by users who want to create publicly accessible and available internet resources. That said, a second level domain is the name that precedes the Top Level Domain. In www.example.com, it is “example”. It may be the name of a person, thing, or organisation. It’s connected to specific establishments or persons, so it is protected. This is also referred to as the sub domain, and is used to assign a particular host server in the DNS. For instance, in example.blogspot.com, ‘example’ is the third level domain. “This gives structure to an organization’s website especially when a website needs to organize its pages into different branches for easier administration,” says Brendan Wilde, Online Manager at Umbrellar Cloud. Examples of third level domains include mail.hotmail.com, news.hotmail.com. The subdomain you are probably most familiar with is www. (World Wide Web). However, we can have fourth, fifth, sixth to infinitum domain, for instance, example.blogspot.co.uk. Every hierarchy is differentiated and separated from the other by the use of a full stop. A fully qualified domain name shows the name of the host server clearly. In mail.google.com, it is obvious that the host server is the mail server. The Country Code TLD, ccTLD, is associated with countries as well as independent territories. It is made up of two letters which identifies the country that the letters represent. There are over two hundred ccTLDs at the moment. It has increased in number since the first three (.us, .uk, .il) that were registered in 1985. 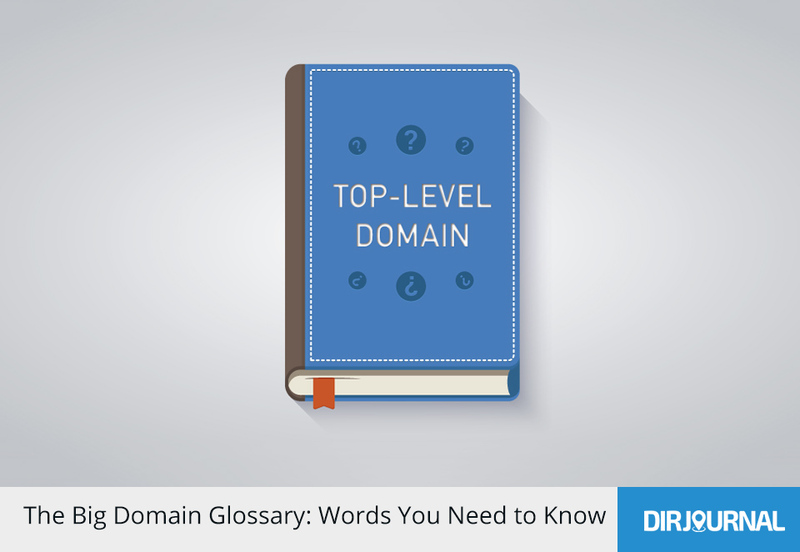 Generic Top Level Domains (gTLD) are just as the name implies: the common domains. There are seven of them (.com, .gov, .net, .int, .edu, .net, .mil, and .org), which are divided into two types: sponsored Top Level Domain and Unsponsored Top Level Domain. As the name implies, the sTLD means that the TLD is under the control of an establishment that also finances it. An example is .edu which is mostly for certain kinds of colleges in the US and is administered by Educause. Another example is .gov, typically used by US governments. The unsponsored ones are more widely used and are administered by ICANN and the Internet Society. .com is the most common unsponsored TLD in the world. Domain names have been in existence since 1984. A lot of addresses have been registered since then making the “old” Top Level Domains (gTLDs and ccTLDs) to become limited as most of them have been taken. This brought about the introduction of the new Top Level Domain, which offers a fresh outlook by giving users access to have themed names for their sites, in order to be recognised and remembered easily. Here, there are more industry specific names, such as .shop, .media, .jobs, .xyz, and .domain. Now you are armed with the basic information you need in regards to some of the terms associated with domains. If you are looking to get a website for business or personal use, you can reserve a name yourself through one of the many registrars available, but it is always better to work with experts in this field who can walk with you through the name registration, providing you with the right kind of support to build you a great website.